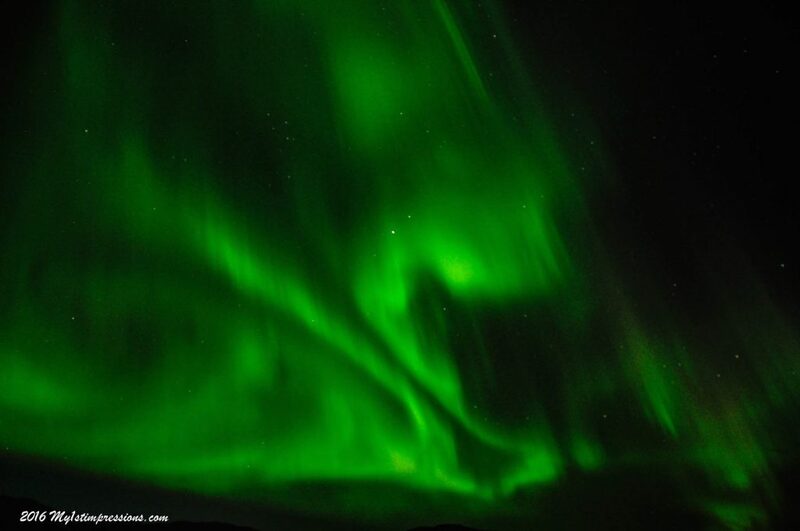 For many years one of the most funny stories about my travels was that despite I had been to Iceland several times, I had never managed to see any Northern Lights. I tried for three years in a a row and all my missions miserably failed. The end of the story was that I moved there to make this ancient dream coming true. In 2014 I decided to move to Iceland and one of the reasons was definitely that of pursuing the hunt to the Green Spirits. That winter my plan worked pretty well and I saw some good Northern Lights in Reykjavik first and on lake Myvatn after, where the less light pollution helps to see them better, but I was still not completely satisfied. 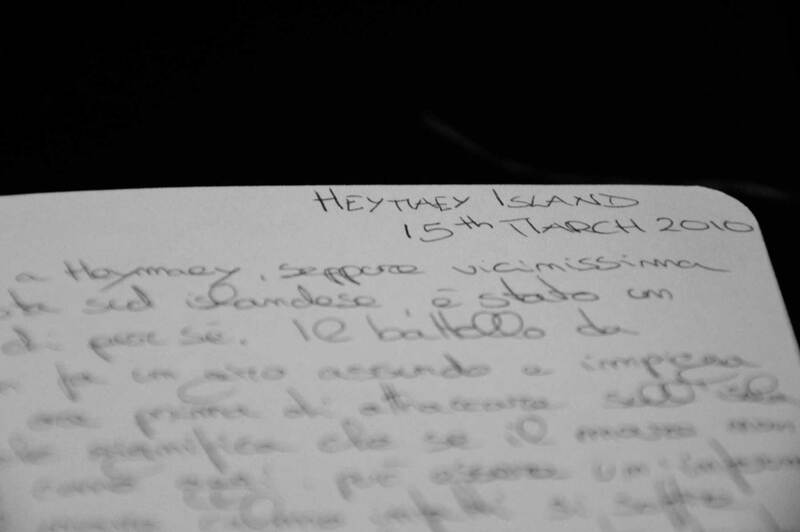 The most beautiful night of my life…. 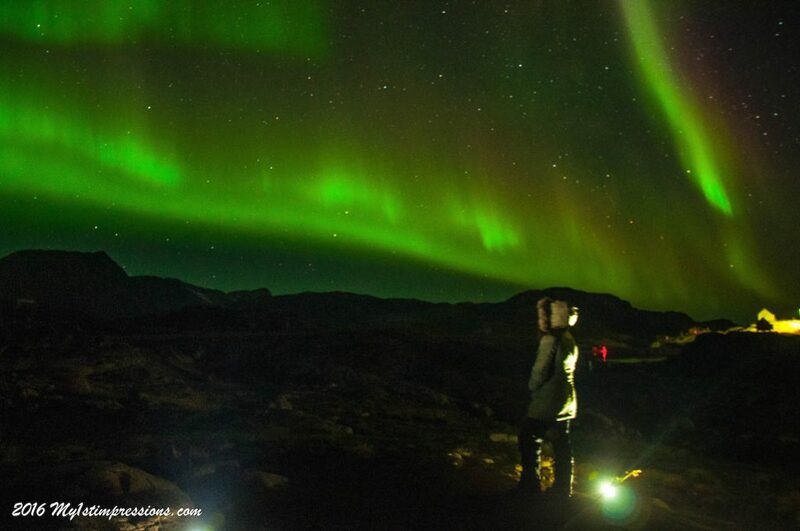 It was in Greenland that I saw the most beautiful Northern Lights of my life. One night the forecast was quite good and together with my friend Willy we decided to get some beers and sit under the cold clear sky to enjoy the show. They started gently with some very nice colours and so it was for quite some time, until something suddenly changed. They sky became all green and then above our heads the most wonderful ever seen Lights started to dance in million shaped forms and colours. I could not stop screaming of astonishment and happiness. 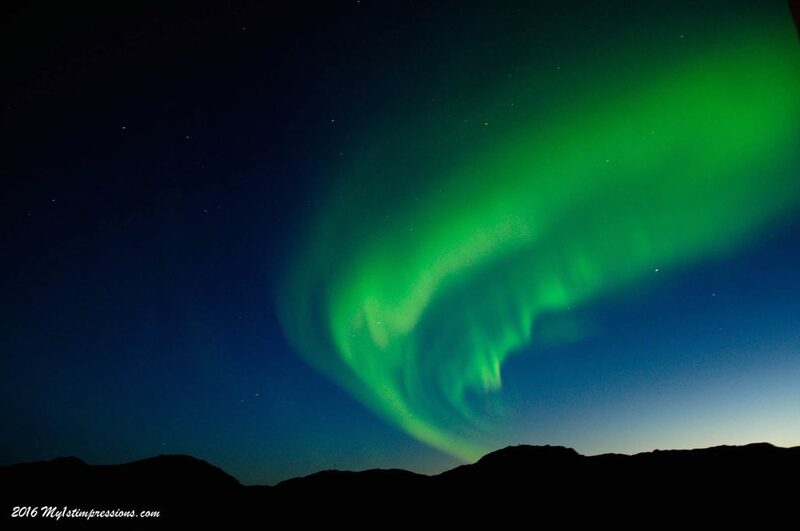 When Northern lights dance like that right above your head it is like receiving a blessing from Mother Nature. You suddenly feel so small and at the same time so blessed for what you are experiencing. After that time, I never saw any Northern lights as beautiful as those. 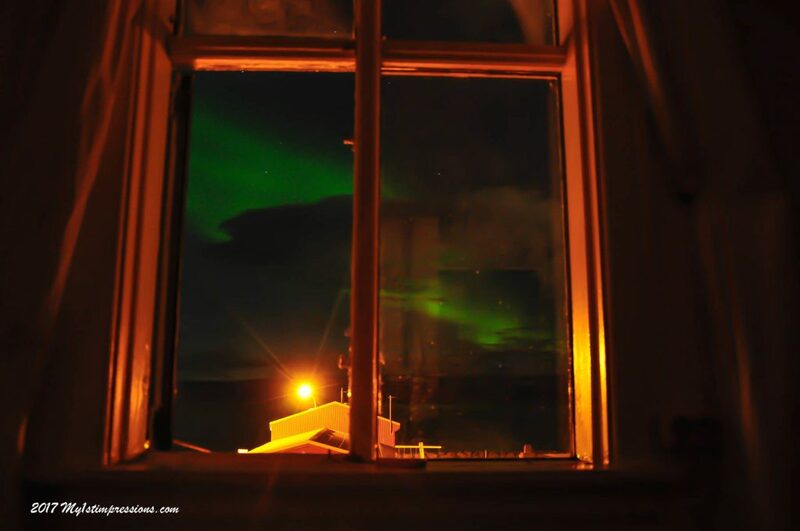 Northern Light display from my room in isafjordur last Summer. Last summer in Isafjordur I saw some nice ones and what i love is that you never get used to them and every time they appear again in the sky, it always looks like the first time ever in life you see them. But , despite that, it was not like in Greenland. 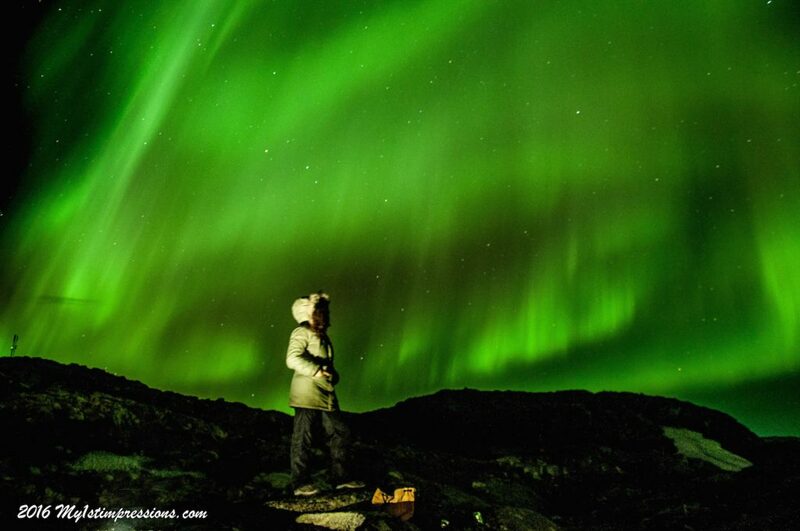 Greenland is the most mesmerising lace in the world to see Northern Lights. Up there, where you are completely out in the Nature and in its powerful elements, saw these dancing spirits has a completely different meaning. 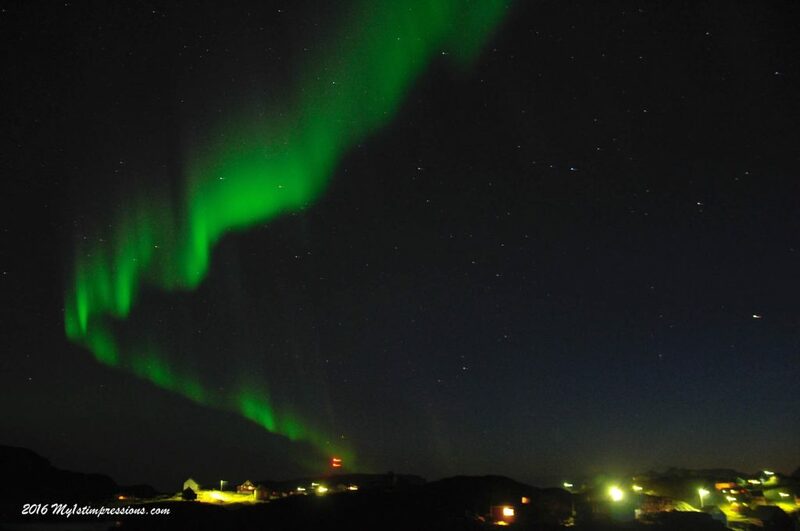 One last blessing from the magical Aurora was the one I got on my flight from Iceland this Autumn, Up in the sky i casually looked outside and there they were, following the plane and dancing around. We were literally inside the Northern Lights and the view was the most unique ever you can have. The Aurora was exploding int he night sky, changing shapes, desappearing and then reappearing again with the speed of light, colouring the sky, redefining its borders, playing with falling stars and full moon…that was the most magical view I ever had of my beloved Northern Lights. Long time ago I was choosing a country to hunt Northern Lights. What I have learnt in this long hunting game is that it is not you who chooses when to assist Mothern nature’s miracle but it is her that decides when it is about time for you to assist to her daily miracles. 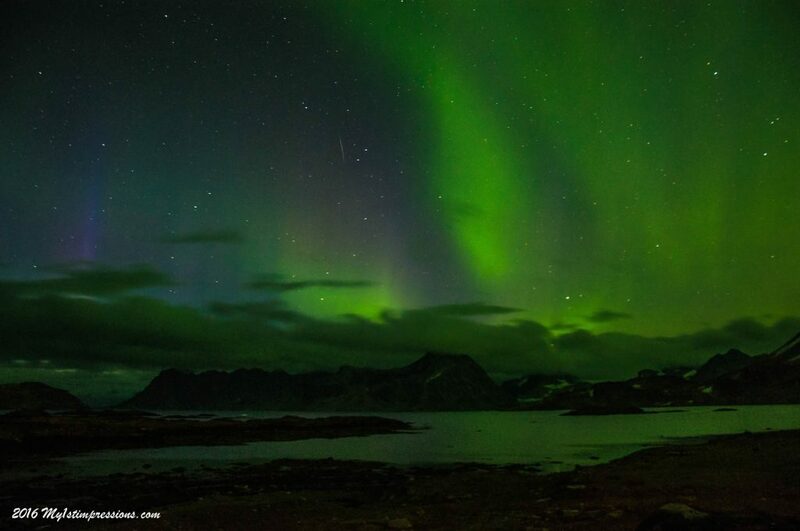 If you want to know more about Northern Lights, where and when to see them, just drop me a line.